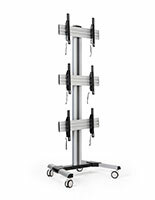 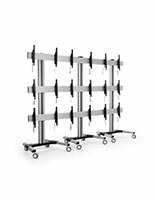 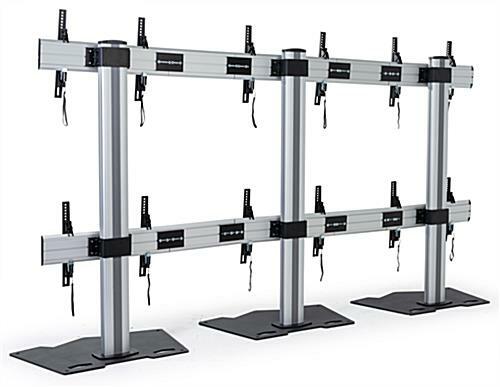 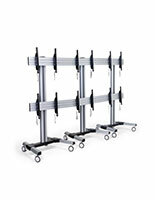 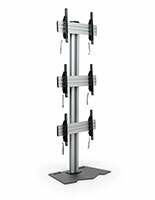 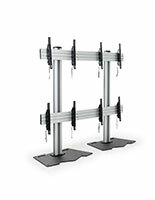 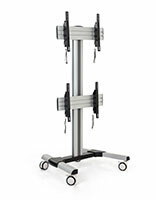 Each 3x2 multi monitor floor stand has anti-theft brackets with a weight capacity of 132 pounds for holding display panels. 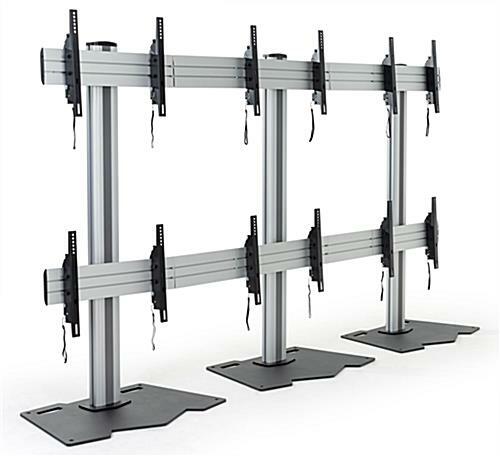 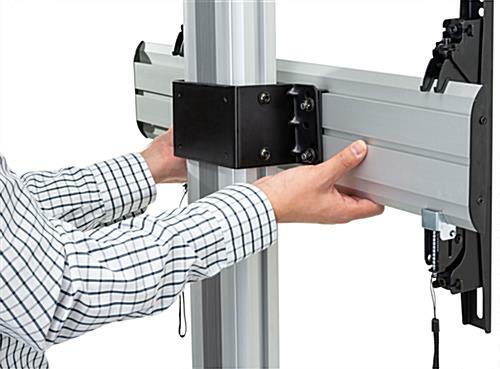 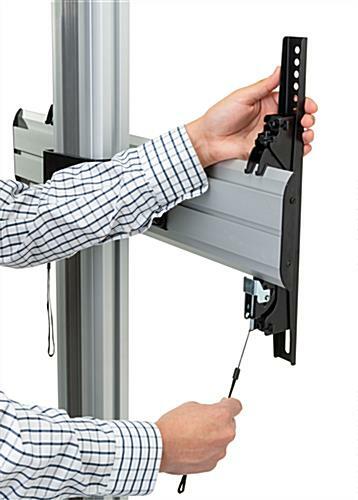 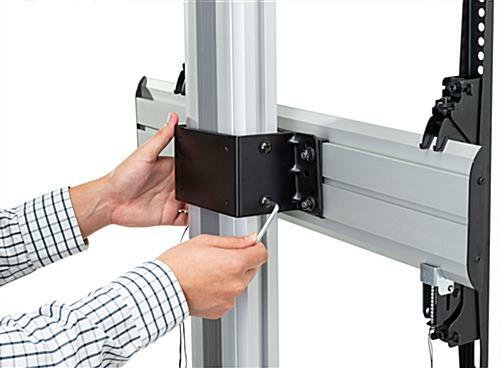 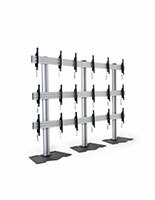 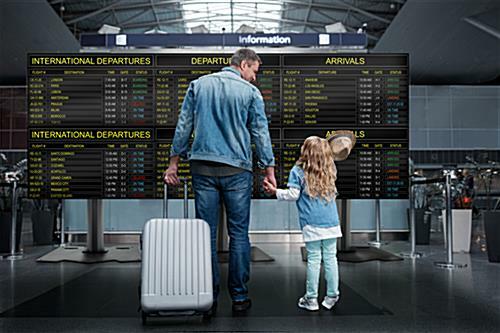 VESA certified, this video display mount holds (6) 45” - 55” screens with quick release design brackets for a safe and quick mounting experience. 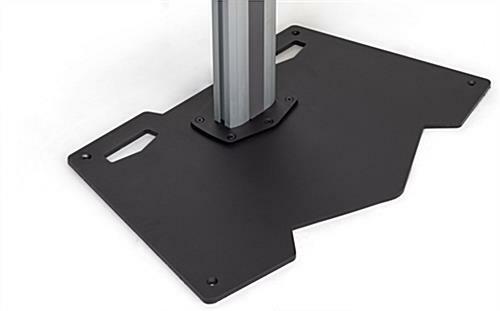 Complete with a solid metal pedestal base, the multi monitor floor stand has a reinforced design that eliminates the possibility of the TV wall being tipped over. 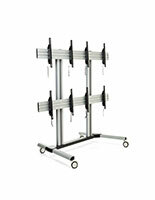 The display mount features a beautiful and modern finish that creates a modern presentation. 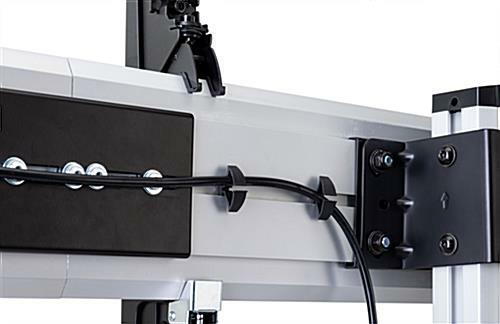 Now you can demonstrate security video, digital marketing or advertising in a brand-new way. 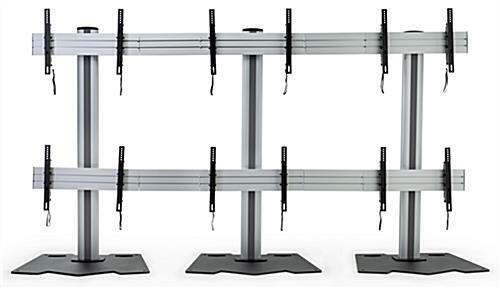 The multi monitor stand will shine every day so information will be vibrant and clearly visible.